The Vale of White Horse district has a thriving rural economy, which is home to a diverse range of rural businesses. The Oxfordshire LEP has published an EU strategy, for more information please visit the Oxfordshire LEP website. Organisations and individuals with ideas on how to boost our rural economy are again being encouraged to apply for grants from a new £1.55 millon fund for Oxfordshire, and €2.132 million for North Wessex Downs. Grants are available between 2015 and 2020. 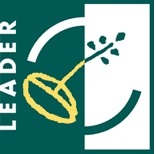 Applications need to be based within the Oxfordshire LEADER area – to check if you are in this area please see the LEADER map. Anyone with a viable idea to boost their local area should email Sophie Milton, call her on 01235 422245 or visit the Oxfordshire LEADER website for more information.